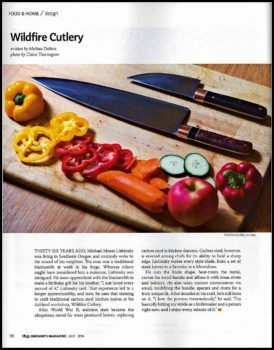 July 2016 short article – 1859 magazine. 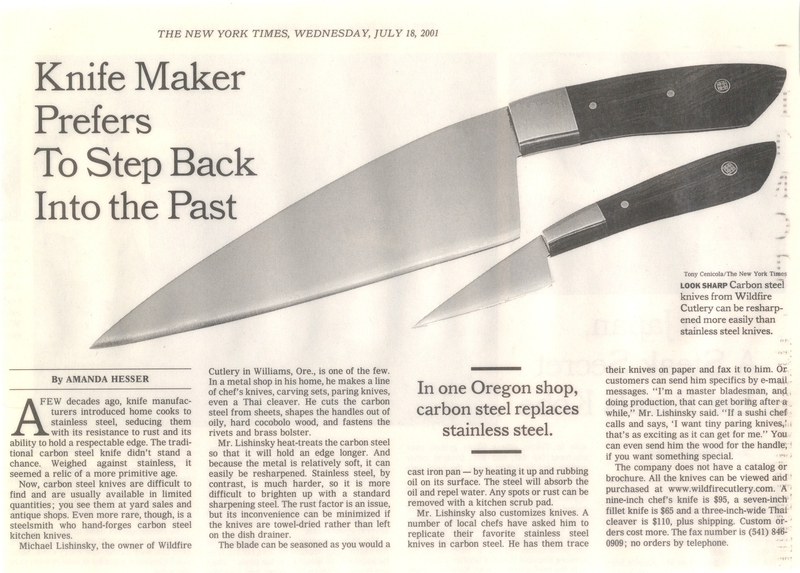 New York Times article written by Amanda Hesser – 2001. Many years ago (1995?) I wholesaled to Dean and DeLuca in NYC. There, Ms. Allegra McEvedy bought some of my work. 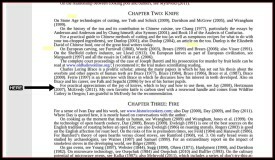 She was a writer and foodie in Great Britian (see her article lower down this page). She recommended my work to Bee Wilson, who purchased directly from me. Then I got an e-mail from Bee’s publicist with below. Click it to open. This little thing below sent me so many inquiries from really good people all around the world, and has led to a lot of new clients. Thank you Bee! 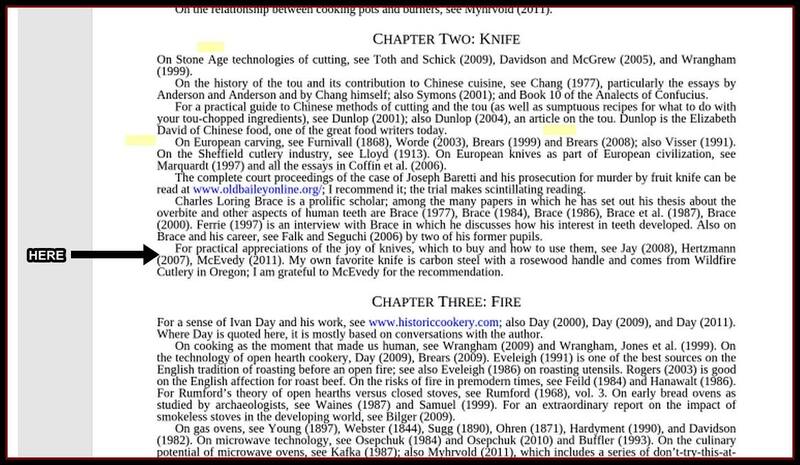 By the way, “Considering the Fork: A History of How We Cook and Eat” is a gem of a book. A great gift for your favorite foodie in the family! Sold on Amazon. A “Venetian Bath of Wine and Spice“, Mark Bittman with NYC chef Frank DeCarlo. 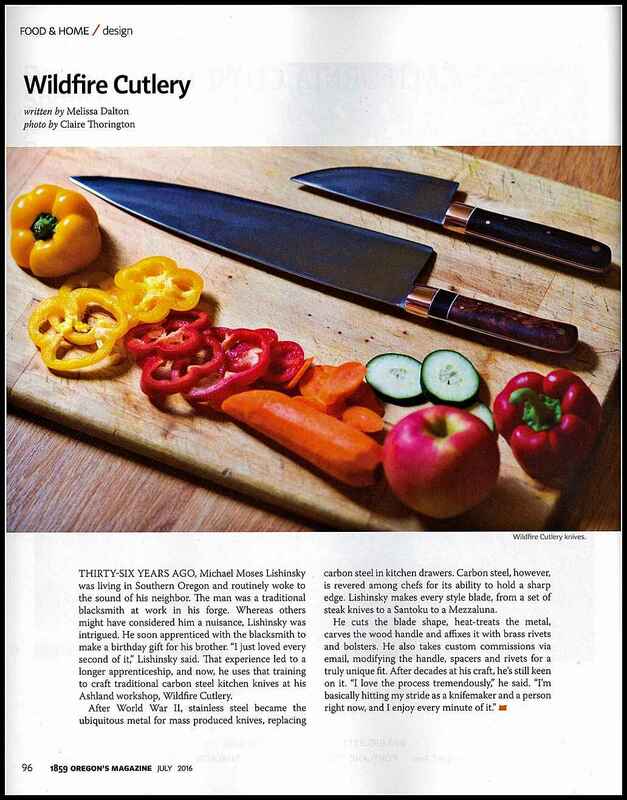 Allegra McEvedy: great knives – she talks about my work in the Guardian from the U.K. Article from 3/12/2012, in Refinery29 magazine, by Janelle Flores, about my work produced in collaboration with Mr. Chris Bastin, lead designer for Gant/Rugger from Stockholm. 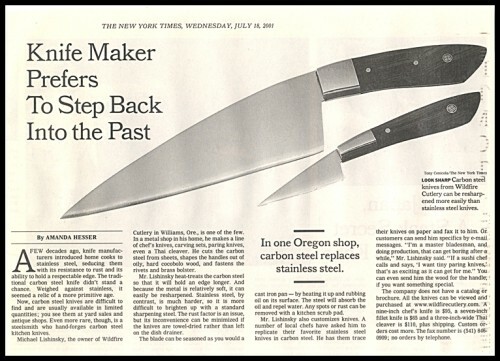 150 2″ x 8″ kitchen knives given to the press and ‘friends’ for the New York and Paris Fashion shows. 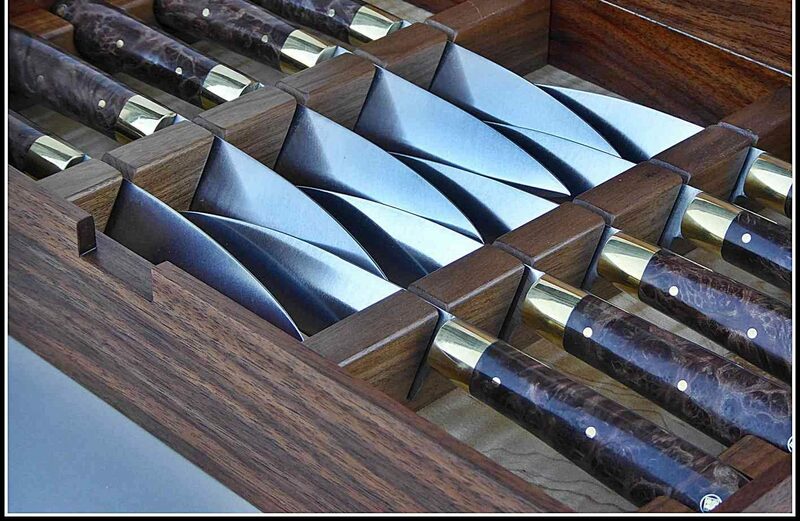 Chris designed the knives and handles. “Meet Christopher Bastin, one hungry, stylish Swede”. Very cool article about one cool customer.